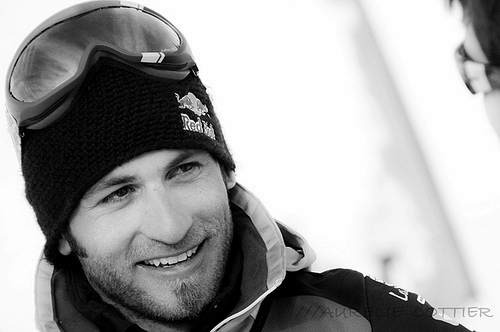 The extreme sports world is mourning the loss of one of the world’s best speed riders, 30 year old Antoine Montant. Antoine tragically died whilst base jumping alone on Sixt-Fer-a-Cheval in the French Alps at the weekend with reports claiming that his parachute failed and refused to open. His girlfriend reported him missing on Saturday and his body was discovered at the foot of a cliff on Sunday afternoon (French time) after a search consisting of mountain guides, friends and paragliders had lasted for most of the weekend. This is the second base jumping fatality in a week in the area after a 43 year old Californian was found dead on October 16th in similar circumstances. Police are still carrying out investigations. Antoine Montant came from a sports loving family. He learnt to ski not long after he learnt to walk, and growing up in an area between the Alps and Lake Geneva, his love of the mountains started at a young age. Tragically Antoine’s older brother also died from an extreme sports accident in 2006. Antoine Montant was known for being one of the top speed riders in the world and had won numerous titles during his career. His films and videos have received worldwide acclaim and he was one of the leaders in the sport. As well as being known for his speed riding passion, Antoine Montant was also a paragliding and ski instructor in the Portes du Soleil area and a sponsored Red Bull pilot. Antoine joins a number of people who have also succumbed to base jumping fatalities including Frank Donellan a very experienced base jumper with a BASE number whose parachute also failed to open during a jump. Due to the high level of danger associated with this extreme sport, it is now illegal to jump off many structures and it is never advised to base jump alone. Antoine Montant was known for pushing boundaries on a regular basis and his incessant imagination only matched his talent when it came to descending mountains in a variety of ways. Tributes are being paid to Antoine on his Facebook page. This entry was posted in Air Sports, Base Jumping, News and tagged Antoine Montant, Base Jumping, Fatality, Speed Rider. Bookmark the permalink.